We are currently carrying out various repairs to the irrigation system on the 5th fairway, behind 15th green, 8th tee and various sprinklers on greens/fairways all work carried out will be “in house”. During this heatwave the irrigation system may still be irrigating the golf course when play begins, every effort will be made to reduce the impact this has on your golf. Unfortunately when the temperature rises above 25°c the evaporation rate increases so much that our closely mown areas need irrigating in the morning and evening otherwise the closely mown areas will go brown from stress and die . Not only temperatures increases evaporation, wind can all so have a big influence especially wind from North, East and South as we are currently experiencing. See the colour change from Friday to Monday in the pictures below. Above is a picture from Friday 5th July. Then on Monday 8th July. 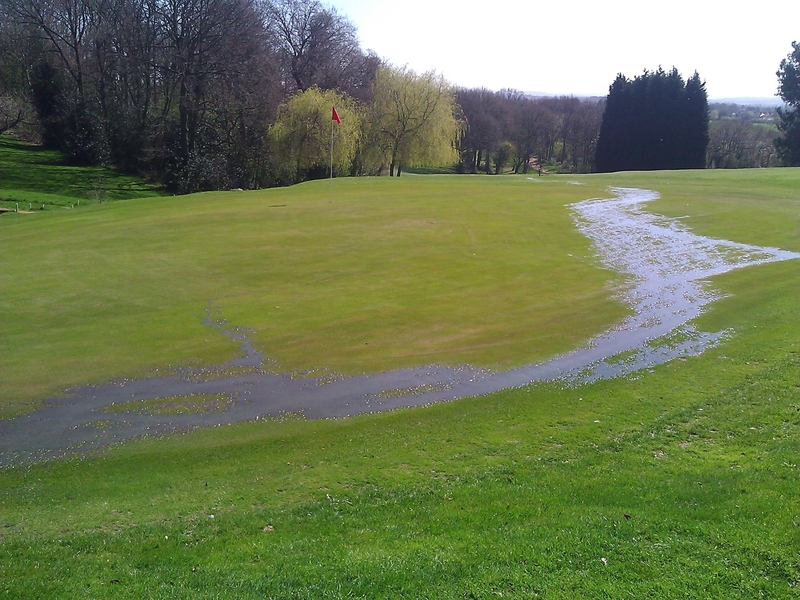 Leaking sprinkler on the 12th green will reduce water pressure and cause uneven growth, disease, moss invasion, and thatch which will result in a poor putting surface and cost more in water bills if left for to long. 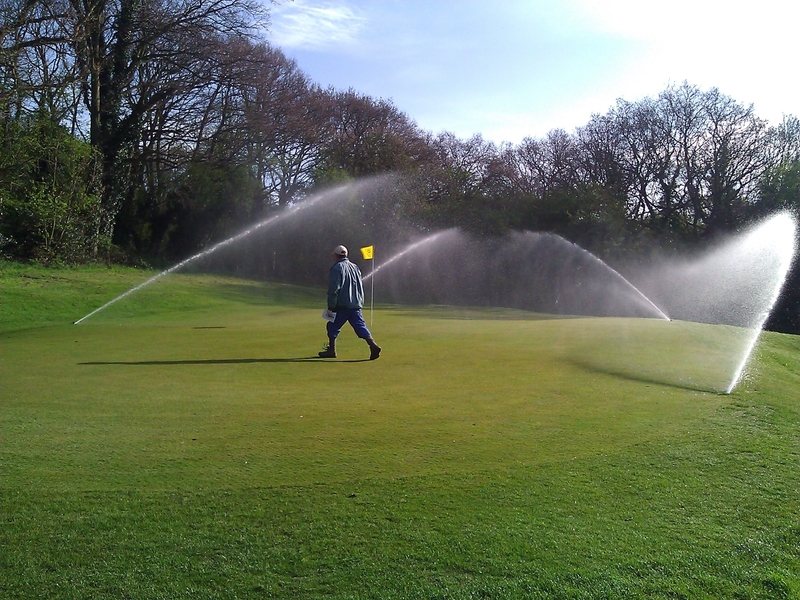 We have approximately 350 sprinklers on the course all watering greens, tees, approaches and fairways.